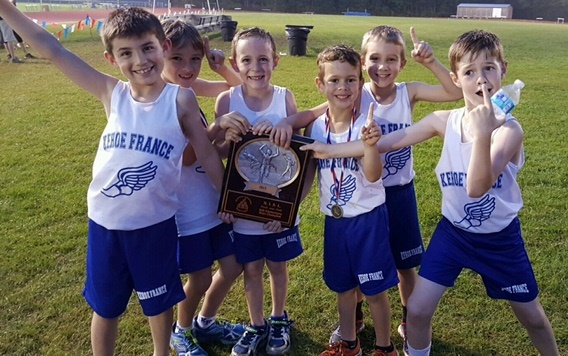 The Kehoe-France Northshore School lower school participates in third and fourth grade developmental leagues. These leagues are used as teaching leagues, pace of play is less competitive than the N.I.A.L, each child receives an opportunity to participate in each game. The third and fourth grade programs are organized differently; an N.I.A.L. host/sponsor school will officially determine when and where the season will start and also be played. This is a great opportunity The third and fourth grade leagues are for developmental purposes; they are teaching based and each child will receive an opportunity to participate in each game. The third and fourth grade programs are organized through an N.I.A.L. host/sponsor school. These games are a great way for our younger students to venture out and try an extra-curricular.